Principal stylist at Electric Hairdressing salon in Harvey Nichols, Liverpool, where I have built up a loyal client base formed of the city’s most glamorous women. I have been at Electric since November 2012, working under the guidance of creative director Mark Woolley. In a whirlwind twelve months, i have assisted Akki Shirakawa backstage at Victoria’s Secret Fashion Show London as part of the ghd Session Team, and winning the L’Oréal Colour Trophy People’s Choice Award. Now a backstage regular at London Fashion Week, assisting at shows such as Julien Macdonald, Mary Katrantzou, Joseph, PPQ, House of Holland, David Koma and Topshop Unique. Back in 2013 i won a place on the L’Oréal ID Artist Programme and the ghd Art Team in 2014. In this time i have been lucky to work with some of the biggest names in the industry and feel that Education is the key to success. 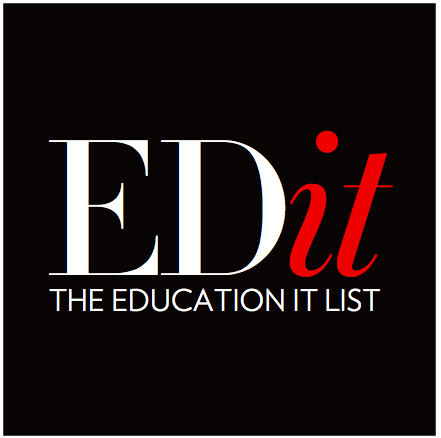 Im excited to start my role on the L'Oréal Professionnel Edit Team, passing on my knowledge of glamours styling and session techniques. On the course created i will be covering Long hair dressing from up to down, learning how to get a great finish to the hair. taking high-end looks and making them client friendly and also how to use social media as a platform to help your salon and yourself! Here is my Final image for this years Shu Uemura Muse Image Awards. I made it down to the final 12 from the UK to take part in the Manchester photo shoot, with Photographer Jack Eames. On the day i was given one hour and fifteen minuets to create the fished look on my model Mila from First Models London. I was mentored by the amazing India Miller, she was on hand to guid us through the day if we need any assistance on the day. First the hair was prepped using Ample Angora into dry hair, using my god Air i could control the flyways and blow dry the hair into the direction i wanted the hair to fall. I then sectioned the hair into two pulling the bottom hair into i high pony tail at the crown. Securing the pony with Detail Master fixing gel spray for extra hold and shine to the sides and back of the head. Hair was then braided with a rope twist that i turned into a knot at crown. With the front section i set the hair using a rick rack technique to give the hair a brushed out crimp effect. Then i manipulated the hair into an overhang shape at the front of the head. When we came to shooting i wanted to get lots of movement into the shot, so we created a lot of wind that Jack managed to capture beautifully. The new Guinness World record was set in Liverpool as 3,651 people took part in ‘The Very Big Catwalk’ as part of 175th birthday celebrations for the city’s passenger ship firm Cunard. 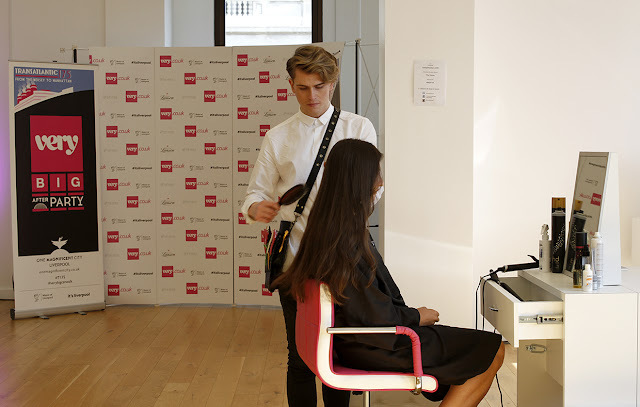 I was representing Beauty Works Hair Extensions, styling the hair for Press & VIP guests at the event. 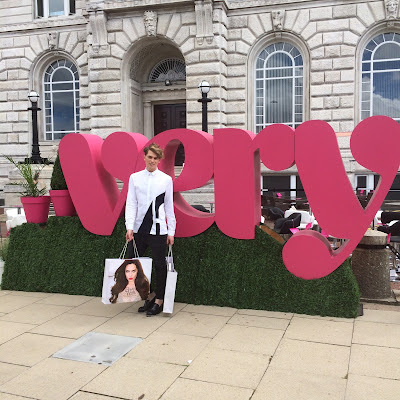 Among those who took part in the record-breaking spectacle, held beside the River Mersey, alongside celebrities including TV presenter Rochelle Humes from the Saturdays, football legend John Barnes, Lauren Pope from The Only Way Is Essex and telly icon Christopher Biggins. Thank you to Beauty Works & Very.com for having me! The tour hit four cities up and down the country from Edinburgh to London, i was lucky enough to be part of this event along with the Art Team. 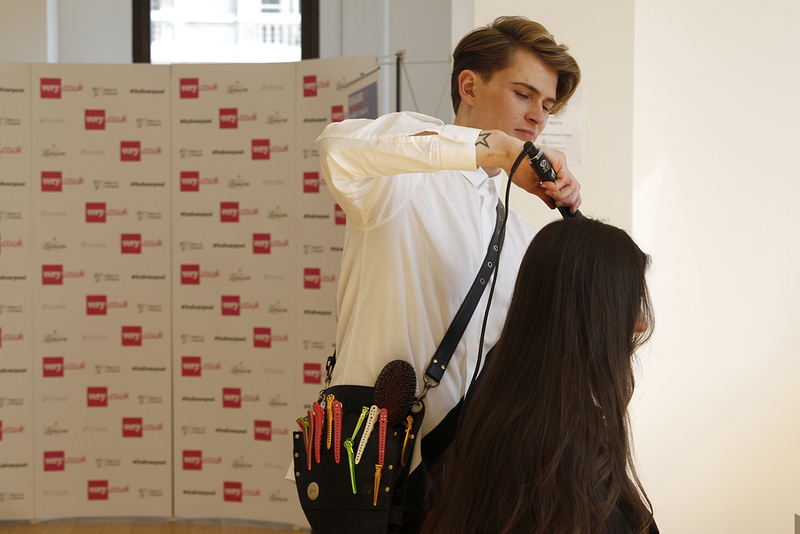 Ken Picton ghd education ambassador started the show off with a stunning model showing the crowd exactly what the new styler can do. Stylist where encouraged to try new techniques on their own models using platinum, they could then post their photos adding #ghdplatinum to be in with the chance to win a session kit. The overall winning look from the tour has the opportunity to be assisting our next art team shoot later on in the year! This was my model Grace, i wanted to create a commercial look that you could try on yourself or most clients day to day. To create the look i first layered the hair with curl hold spray and blow dried the hair into the direction i wanted it to fall. Then using the Platinum Styler i waved the hair by taking each section the same way, turning the styler 180 and passing through the hair straight to the ends. The most important thing about this look is to curl all of the hair in the same direction and to dress the look out using a soft bristle brush or a wide tooth comb. I then went in with some shine spray and final fix hair spray to give extra shine and hold to the look. Here is an image of myself on stage in manchester talking through the look. Here are the finished models from left to right starting with Ken Picton, Patrick Wilson, Billy Fry and Viktoria S. Toth. All showing a mix from Avant Garde through to commercial looks. Finally i would like to say a big thank you to Jo Robertson and all of the team at ghd who organised the tour. I loved being apart of it! You voted and L'Oreal listened, i would like to take this time out to say a big thank you to all who voted for myself and David Halsall to win the L'Oreal Colour Trophy Peoples Choice Award 2015. The competition was open to all of the top ten from each regional final, with an online voting selection. From a total of eighty salons across the U.K. we reached the highest number of votes in the country, making us the overall winners. 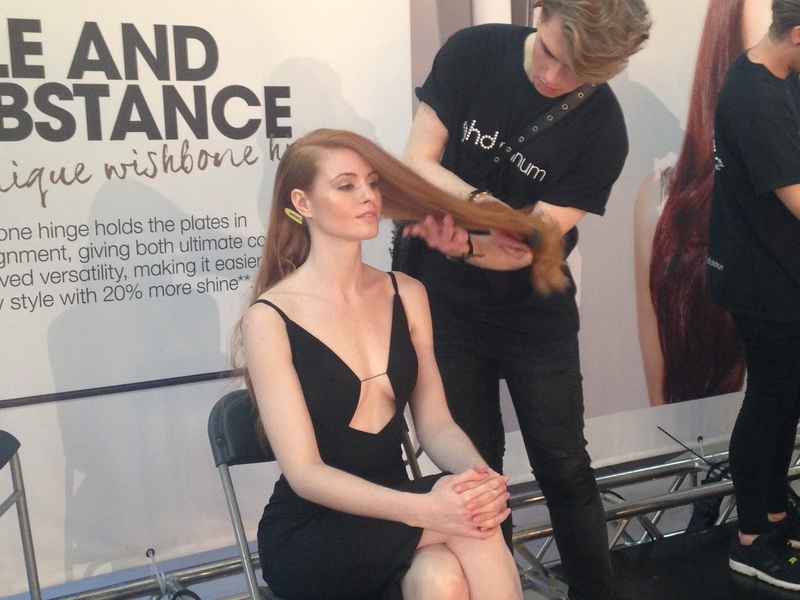 The event was held on monday the 1st of june at Battersea Evolution in London. 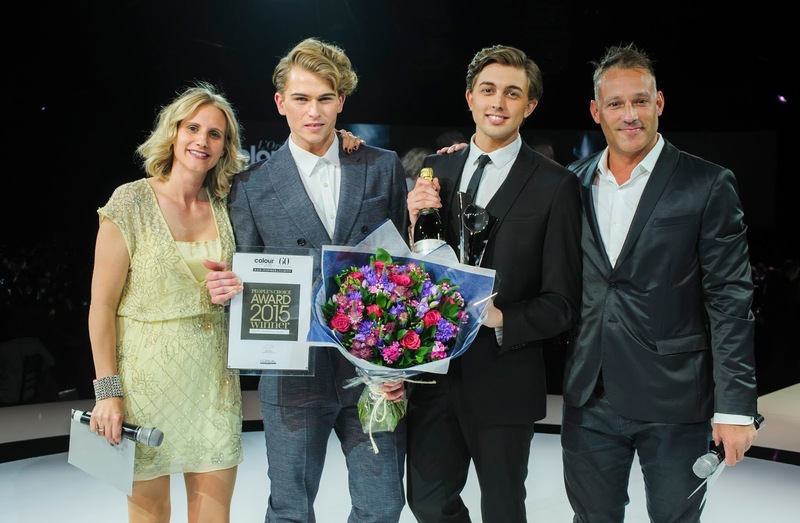 This year was extra special as it marked the 60th anniversary of the L'Oreal Colour Trophy. It was a great night filled with glitz, glamour and lots of hairspray. Once again i would like to thank the clients, friends and family who made this happen! The Regional Tour Judges have hand-picked their favourite looks from this year’s Regional Finals and now it’s your turn. Here is our entry, If you could click the link below and vote for Electric Liverpool. 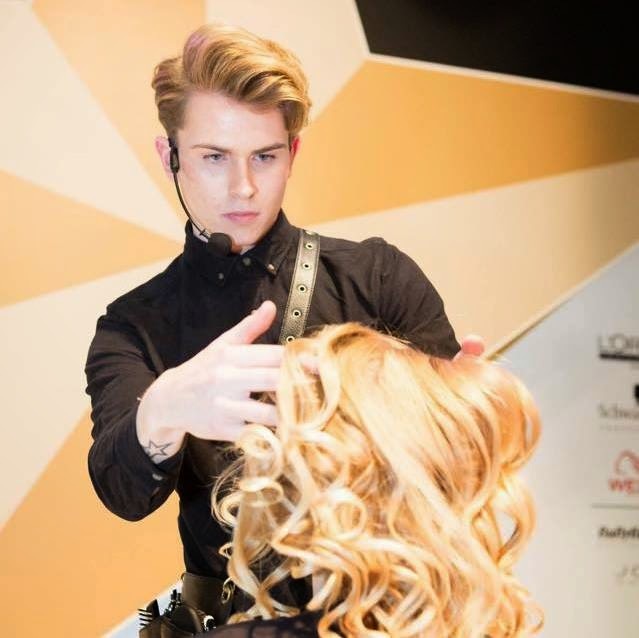 Patrick Wilson, Principal Stylist Electric Hairdressing. Well everybody, I have set up this blog as a lot of people kept asking on my Instagram page if I had a blog or if not, why not?! So here I am, my name is Patrick Wilson and I am from Liverpool, but I travel here, there and everywhere with my job. 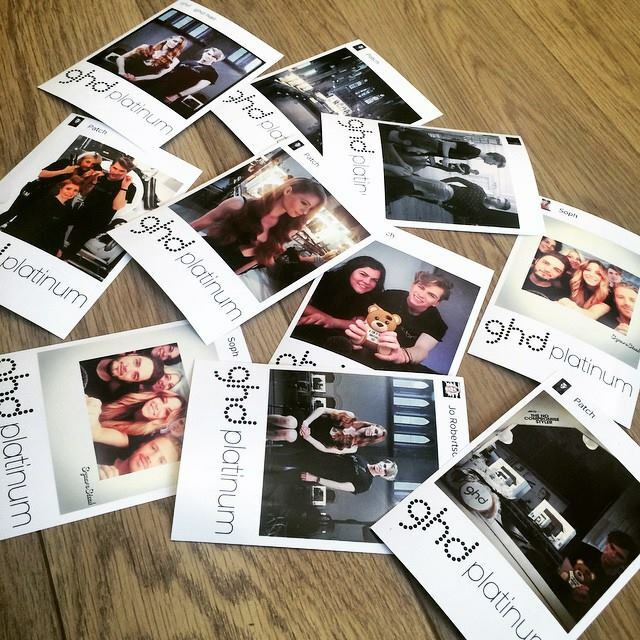 I work at Electric Hairdressing, Harvey Nichols, I'm currently on the ghd Art Team and also on the Loreal I.D. Artist Program. Everyday is different I could be in salon, at a photo shoot or presenting my work on stage. I have worked backstage on the hair team for Victoria Secrets Fashion Show and London Fashion Week assisting some great names in the industry. Session styling is one of my biggest passions and within my blog I will post lots of tips and tricks that I have learnt along the way.